In Greek mythology, Nike was the goddess of victory, also known as the Winged Goddess. Today, Nike is the #1 maker of athletic footwear and apparel worldwide. The retail purveyor claims victory in the US athletic shoe market by capturing a dominant market share. Nike designs footwear and athletic gear for a wide variety of sports.The company has affiliated brands which include Converse, Hurley, Jordan Brand, and Nike Golf. While they had included other footwear in their portfolio, in 2013 Nike decided to sell upscale shoemaker Cole Haan to APAX Partners, LLP to concentrate all their efforts on their current sports brands. 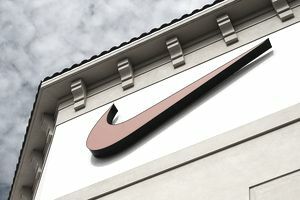 Today, they operate NIKETOWN stores, NIKE factory outlets, NIKE Women shops, and also sell their products online at Nike.com. Nike ranks #18 on Forbes list of The World’s Most Valuable Brands, with annual sales of $30.32 Billion and a market cap of $86.2 Billion. Fast Company magazine ranked Nike, Inc. #1 in its’ Most Innovative Company annual ranking of the world’s top 50 innovators. The company has over 44,000 employees and is headquartered in Beaverton, Oregon. Any young student would be lucky to learn the business at an outfit like Nike. The Summer Internship Program at Nike is a 12-week program that runs from June to August each summer. The majority of internships at Nike are located at the World Headquarters in Beaverton, Oregon as well as the European Headquarters in Hilversum, The Netherlands. Most interns from outside of Oregon will receive a travel and living stipend for the World Headquarters, but travel and lodging are not covered for Europe. Interns receive a competitive salary, with an average of about $19.22 per hour with a range between $13 per hour to $24 per hours. MBA interns average about $36.93 per hour with a range between $35 per hour to $39 per hour according to Glassdoor.com. Students who complete an internship at Nike consider it a positive experience, giving the company’s program a 4.1 rating on a scale of 5. These interns say they gained significant experience and that Nike has a great work environment. Many Nike interns can move into full-time employment positions upon graduation from college. The internship hiring process takes about four weeks from initial contact through hiring. Students not accepted into the summer program receive an e-mail by late spring notifying them of the decision. Approximately 48% of interns are invited in to interview by applying online, 38% via campus recruiting, 6% via employee referral, and 6% via a recruiter. During the internship interview process the interviewers focus extensively on situational and behavioral questions, so if you want to intern at Nike be prepared to handle these types of interview questions by doing your homework in advance. Access to Nike world-class athletic facilities. Employee discount at the Nike employee stores. Full-time college student or graduate student. Rising senior (current junior) or a first-year graduate student. Minimum overall GPA of 3.3. Accomplished with design programs like Adobe Creative Suite products. Major in any business disciplines, engineering, computer science, polymer science, design, apparel, or liberal arts. As a Nike Design Intern, you have the opportunity to work with a team to create new designs or refresh existing ones. Interns complete design projects with a goal that what they create will be produced. Interns also conduct consumer, athlete and market research. They also work on individual design projects for a Design Gallery Show, as well as a cross-functional project that is presented to Nike Executive Leadership. Go to Nike’s website, find a position you are interested in, complete the application form, and submit your cover letter and resume.